Find out which phone system is right for you. Take the Asterisk versus Switchvox challenge. Choosing the right option for your next phone system?  Digium is the creator and primary sponsor of the Asterisk project. Digium also makes and sells Switchvox, a turnkey IP PBX. We created this guide to answer some of the common questions that will help you choose the system that is right for your business. Asterisk is an open source communications engine that transforms commodity computers into powerful communications servers. It is free, but requires programming expertise. Switchvox is the Unified Communications solution built on Asterisk but has a GUI that is already designed for you. It is an affordable IP PBX for small and midsize businesses. We often are asked how to choose between these two solutions, so we created this helpful guide to explain the differences and help you decide! What type of Linux expertise do I need? What features are available in Switchvox? What is included in the Switchvox IP PBX system? How will my phone system be supported? Want to get more information to make the informed decision? Get the free guide!